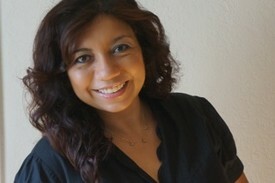 Griselda began her career in the field of dentistry over 19 years ago as a dental assistant. In 2011, she graduated from USC with a Bachelor of Science in Dental Hygiene. She is passionate about dental hygiene and loves educating her patients about their oral health. "I am constantly updating my career by taking continuing education courses and reading dental hygiene literature so I can continue to make a difference in my patients' overall health. My goal here at Crenshaw Professional Dental Center is to provide my patients with the excellent health care they deserve and help them achieve a healthy and beautiful smile." During hygiene visits, Griselda works with adjunctive treatments such as oral irrigation, local antibiotics, perio protect, fluoride varnishes, prescription and OTC mouth rinses to help her patients achieve healthy gums. At home, she expects her patients to brush at least two times a day and floss at least once a day, every day. "I also want my patients to understand that periodontal disease is a serious oral infection that can only be controlled. We have to remember that this is a battle against a a very bad type of bacteria that is hard to eradicate and can lead to bone and tooth loss if left untreated. Another important fact that research shows about periodontal disease is that it is closely related to heart disease, diabetes, and lung infections. You can learn more about gum disease by visiting www.perio.org." Griselda is a member of the ADHA (American Dental Hygiene Association) and when she's not working she enjoys spending quality time with her family, working out, reading, listening to music and going to the movies. "Your healthy smile is my professional success." Schedule your next hygiene visit with Griselda and experience excellent dental hygiene care and receive a personalized home care recommendation according to your particular need.